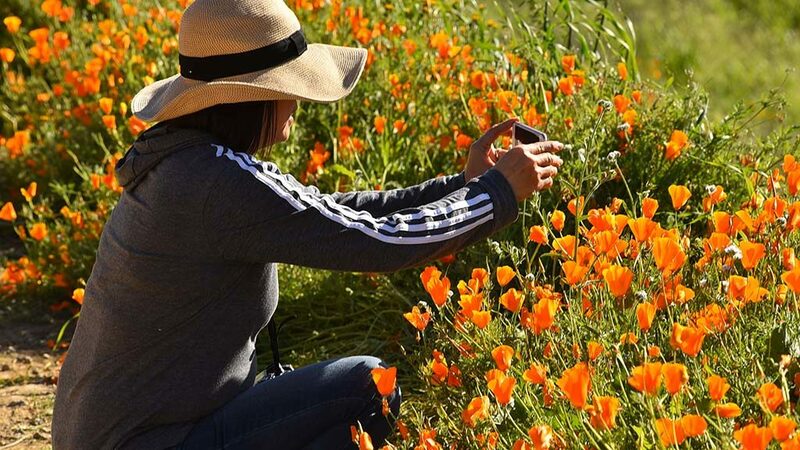 Riverside County Board of Supervisors Chairman Kevin Jeffries vowed Tuesday to hammer out a plan of action with state and local agencies to prevent another “Super Bloom” stampede in and around Lake Elsinore this weekend. Jeffries said the California Highway Patrol and county sheriff’s deputies were “overwhelmed” Saturday and Sunday by the mass of motorists who descended on Walker Canyon along Interstate 15, as well as just to the west of Lake Elsinore along the Ortega (74) Highway, where one lane of the two-lane corridor had to be shut down Sunday because of the volume of vehicles parking on the narrow shoulders. Lake Elsinore Mayor Steve Manos said Monday that public safety personnel re-opened the main trail into Walker Canyon, just to the east of I- 15, because there was no way to close “an entire mountain” to keep sightseers away.